Item # 299401 Stash Points: 2,795 (?) This is the number of points you get in The Zumiez Stash for purchasing this item. Stash points are redeemable for exclusive rewards only available to Zumiez Stash members. To redeem your points check out the rewards catalog on thestash.zumiez.com. 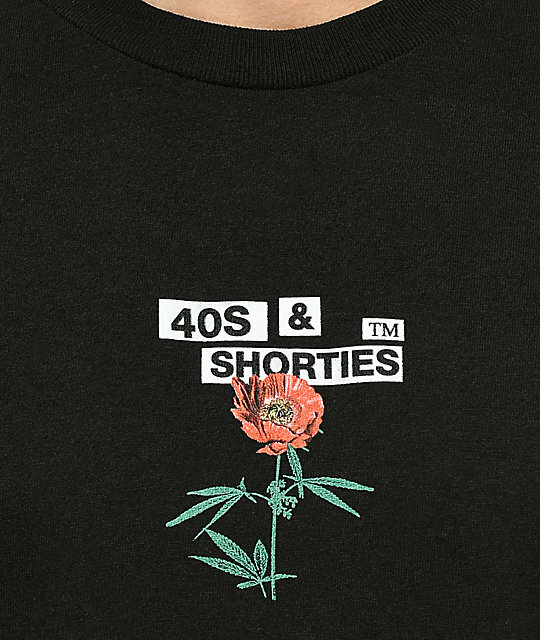 Celebrate Earth Day by planting your own kind of flowers in the Agriculture short sleeve tee shirt from 40s & Shorties. 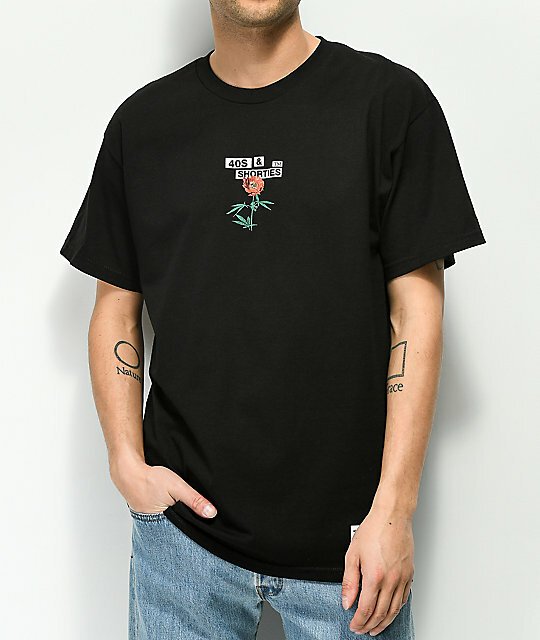 A black, 100% cotton shirt features a screen print of a poppy flower and weed leaves at the chest and back. 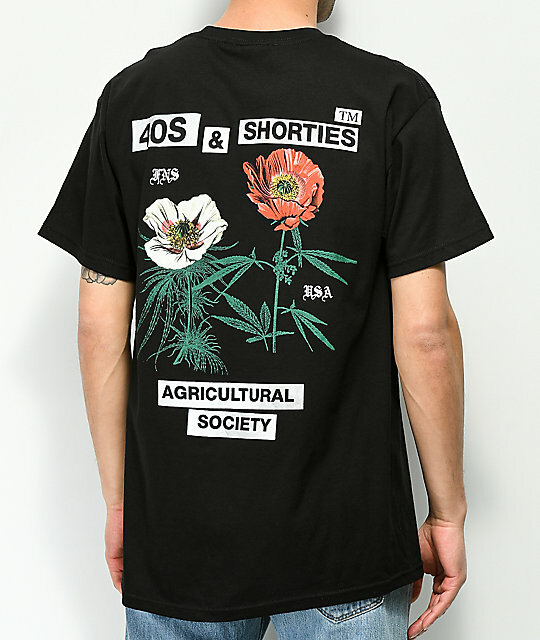 Agriculture Black T-Shirt from 40s & Shorties. 40s & Shorties brand ta at lower left side. 31.5" (80cm) from shoulder to front bottom hem.